Malina invites the reader on a linguistic journey, into a world that stretches the very limits of language with Wittgensteinian zeal and Joycean inventiveness, where Ingeborg Bachmann ventriloquizes--and in the process demolishes--Proust, Musil, and Balzac, and yet filters everything through her own utterly singular idiom. 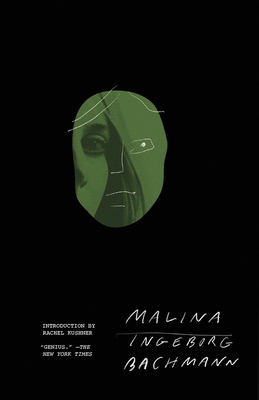 Malina is, quite simply, unlike anything else; it's a masterpiece. In Malina, Bachmann uses the intertwined lives of three characters to explore the roots of society's breakdown that lead to fascism, and in Bachmann's own words, "it doesn't start with the first bombs that are dropped; it doesn't start with the terror that can be written about in every newspaper. It starts with relationships between people. Fascism is the first thing in the relationship between a man and a woman, and I attempted to say that here in this society there is always war. There isn't war and peace, there's only war.